Lil’ Gleemerz is a lemur that plays and interacts when you touch its head, nose and tail. 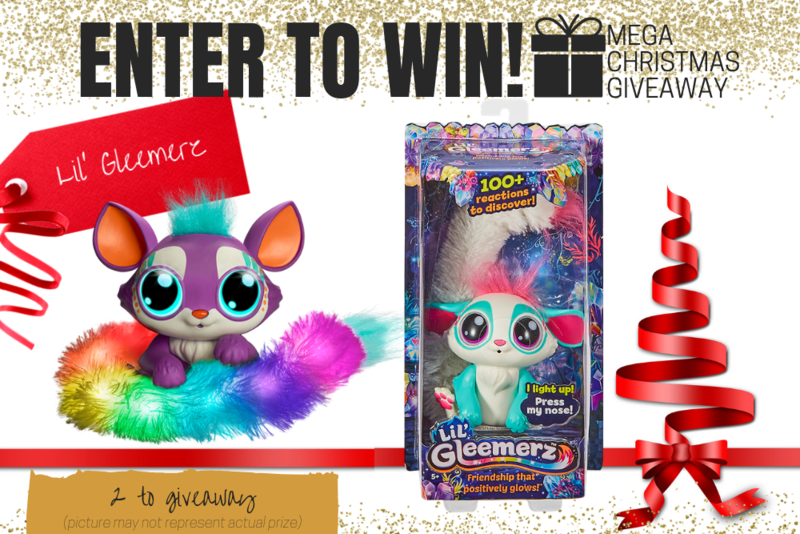 Lil’ Gleemerz talks to you, plays games and even answers your questions. Available in teal (Amiglow), pink (Adorbrite) and purple (Loomur), Lil’ Gleemerz is a hard toy (built for play and travel), with the exception being a fluffy tail, and the tuft of its head. Available from Big W and Myer while stocks last. 1. **Lil' Gleemerz (plush toy). Total Prize Value $39.95** AUD (the "Prize"). 2. It is the responsibility of the winner to collect the Prize within 7 days of the end of the Competition Period from the Promoter’s Mornington office. 3. The Prize, or any part thereof, must be accepted as awarded and is non-negotiable, non-transferable to another person and non-convertible and is not transferable for cash. 4. The prize must be collected from the Promotors Mornington Office, unless otherwise advised.